What do you do with your loose change you get from the cashier after a purchase? If you’re like most people, you put your leftover pennies and quarters in a jar that you take to the bank when it fills up, right? A better solution is Acorns. Instead of spending it on a double latte or a drive-thru supper because “you found five bucks,” what if you could put your loose change into a digital money jar that earns interest? Enter Acorns, a micro-investing app that invests your spare change each month, so it grows in size. While Acorns definitely isn’t intended to replace your 401k at work, it can help you pay for some of life’s smaller expenses like a vacation or buying a new phone with cash. There are many micro-investing platforms to choose from, but this post is going to focus on one of our favorite and one of the most widely-known platforms; Acorns. 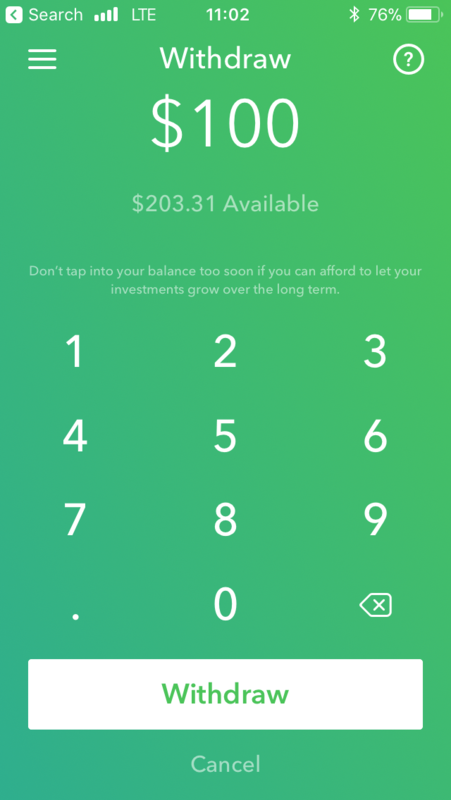 In this Acorns app review, you’ll find out everything you ever wanted to know about it and how you can build a small nest egg with minimal effort. The best way to describe Acorns is it’s an online money jar that also invests your spare change. First, you choose the funding methods of your choice. The most popular option is the spending round-ups, but you might also do a recurring deposit or shopping through Acorns to give your an account a boost too. Acorns only withdraws small amounts of money–usually $5– unless you designate a larger amount from your bank account so you won’t notice any money is missing unless you monitor your account balance on a daily basis. To prevent charging an overdraft fee, Acorns only makes a withdrawal when there are sufficient funds in your bank account. Your Acorns money is invested in a taxable, non-retirement investment account. Beginning in 2018, you’ll also have the opportunity to fund an Acorns Later tax-advantaged Traditional IRA investment account that’s similar to your employer 401k plan that you fund with pre-tax income. You can download the Acorns app from any Android or Apple mobile device. Acorns can also be accessed online via their desktop platform here. Does Acorns Replace Your Savings Account? Acorns invests your money which means it’s constantly fluctuating in value and is not guaranteed to earn a profit. While most investments appreciate when invested for several years, a 10% market dip can cause you to lose money if you sell now instead of waiting for it to recover. Hedging against market volatility is why Acorns only invests small amounts of money every month. This is money you don’t need to pay your bills with and by investing your extra money for the long-haul, your nest egg will be larger than if you keep it in a savings account or spend it instead. You still need to keep an emergency fund and other savings you can’t afford to lose inside an FDIC-insured bank account. Before you begin investing with Acorns, make sure you set aside $1,000 into an emergency fund to cover life’s unexpected expenses. You will also need to link your credit and debit cards to Acorns if you want to participate in the round-ups program. If not, you can still fund your account on a regular basis with scheduled deposits and shopping online through the Acorns Found Money shopping portal. The #1 reason to join Acorns is that you save money on a regular basis and can earn more interest than your bank account. All of the change in your spare change jar doesn’t earn any interest until you deposit it into your savings account. Even then, the average brick-and-mortar interest rate is maybe 0.10% or one-tenth of one percent. While it’s still better than keeping your money under the mattress, you won’t be able to retire and live off the interest anytime soon. Want to Fire the Big Banks? Tired of the almost zero percent returns on your current savings accounts? I don’t blame you. CIT Bank has 22x higher returns than those “big banks” and they only require $100 minimum deposit to open an account? Many people view the money in their checking account as spending money to pay their regular bills and life’s smaller expenses. If there’s a $1,000 balance, that’s $1,000 to spend for the month and any money left over can roll over to next month instead of tucking some of it away for a rainy day. One reason why so many Americans can’t afford a $500 emergency without borrowing money is because they don’t put enough money in a savings account on a regular basis. Acorns automates the savings process so you at least have something to pull from if you’re in a financial bind instead of running a credit card balance. Acorns is free for college students with a dot.edu email address for up to four years. If you don’t have a .edu address, you’ll pay $1 per month until your account reaches $5,000. After your balance exceeds $5,000, you’ll pay 0.25% per year–0.02% per month–on your total account balance which comes to approximately $12.50 per year or $1.04 per month with a $5,000 balance. Acorns doesn’t charge the $1 fee until you make your first $5 investment. You can begin earning round-ups and Acorns will collect the first fee after your first $5 round-up balance is invested or you schedule your first cash transfer from your checking account. While you might initially balk at paying $12 a year to have an app invest your loose change, take a second to look at it from a different perspective. You automatically pay the fee for the year by going out to eat one less time a year at a sit down restaurant where you easily pay $15-20 per person. If you’re a fast food junkie and spend $6 on average, you only have to pack your lunch twice to pay the $12 fee. Even though you pay $1 a month, Acorns is helping you save more money than before you joined Acorns. In my opinion, if Acorns is the difference between saving more money each month instead of spending it on something you don’t need, it’s well worth the price. Also, don’t forget your investments earn regular dividends that can offset or exceed the monthly fee as well. As we mentioned earlier in the review, Acorns automates the saving process by withdrawing small amounts of money on a regular basis while still leaving enough money in your account to pay your monthly bills. Paying one buck a month can be well worth the additional peace of mind you’ll receive by automating your savings process with minimal effort. You can participate in one, two, or all three of these funding streams. So decide which ones work best for you and start saving. Round-up investing is the digital equivalent of throwing your loose change in your money jar at home. It’s also the “bread-and-butter” savings tool for most Acorns users. According to Acorns, the average user invests $32 per month by rounding up their purchases. When you spend $4.73, Acorns rounds up your purchase to $5 and invests the 27 cent difference. 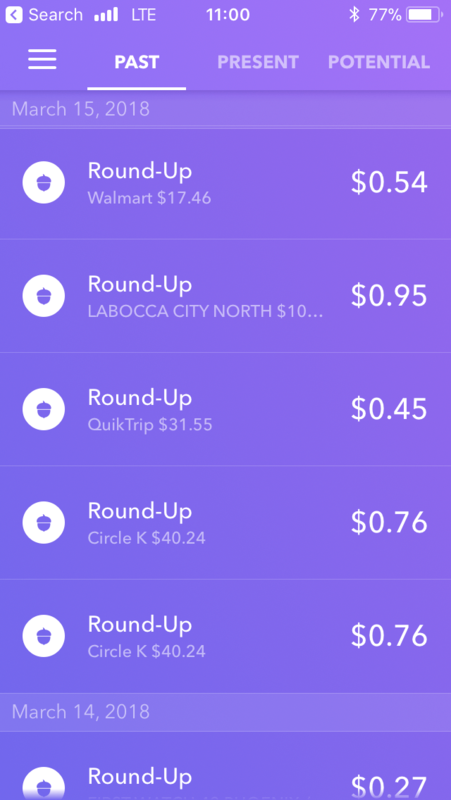 Acorns will round up a $9.36 to $10 and invests 64 cents once your round-up balance reaches $5. After these two purchases, your round-up balance is 91 cents so you have $4.09 to go before Acorns withdraws $5 from your checking account and makes an investment. Assuming you’re like the average American and use your debit card 23 times a month, Acorns can easily invest $5 a month assuming the average round-up is 25 cents per transaction. You can easily estimate what your average round-up amount will be every month by looking at your own transactions for the last two months by counting the number of transactions and keeping a tally of the average round-up per transaction. 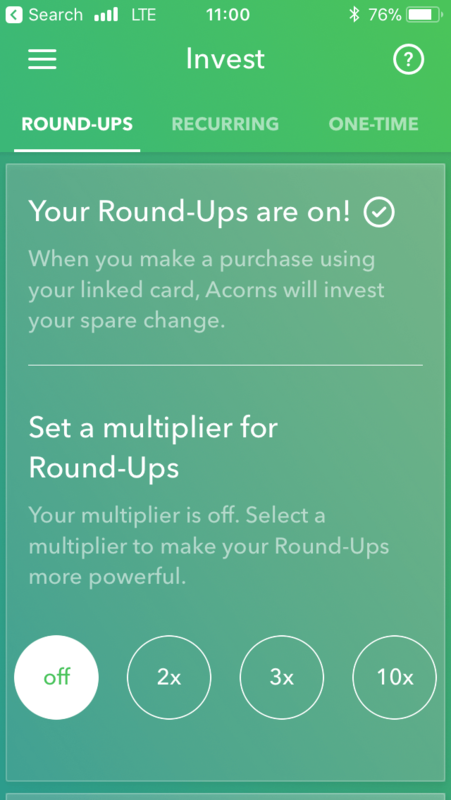 To speed up the investing frequency for your round-ups, activating the Acorns round-up multiplier boosts your round-up total up to 10x the normal contribution. With a 10x multiplier, your standard 25-cent round-up becomes $2.50. Ten of these multiplied round-ups each month means you contribute $25 instead of $2.50. The round-up multiplier is an optional feature, but it can be a good idea if you’re eager to maximize your round-ups and accelerate your savings rate. By rounding up $25 a month, you’ll have a principal balance of $300 every year before factoring in any investment returns. You can also turn off or turn on the multiplier any time you’d like. So, you might decide to use it when you go on vacation or go Christmas shopping to optimize your investments from two of the most expensive financial events each year for many families. Acorns tracks your card spending in real time but they won’t withdraw any round-ups from your checking account until your balance reaches $5. 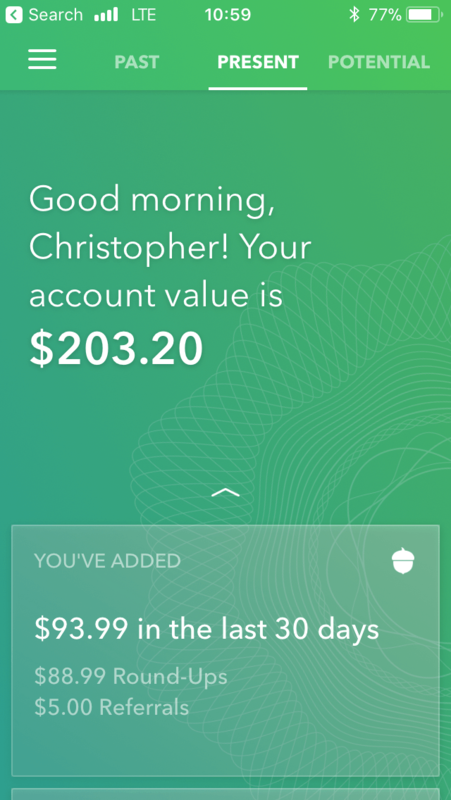 When Acorns withdraws the round-up from your account, the balance is immediately invested so you can begin earning passive income. Even if it takes you two months to reach $5 in round-ups, Acorns won’t withdraw any money from your checking account until your current round-up balance reaches the $5 minimum. If you schedule a recurring investment, that contribution will be separate from your round-ups balance and you will still have to reach the $5 round-ups minimum before they can be invested. In addition to rounding up your purchases, you can also schedule recurring deposits or a one-time investment from your checking account to build your Acorns balance. You can link your savings account, but this isn’t recommended since federal law only allows six total withdrawals each month. People don’t become wealthy overnight; it’s usually through regular contributions to their savings and investing accounts. Automating your savings with Acorns is an easy way to start a rich habit because Acorns does the heavy lifting of transferring the same amount of cash into your Acorns account on the scheduled day. Unlike humans, computers don’t forget! You can designate weekly or monthly contributions and Acorns lets you pick the day and the transfer amount. Weekly investments always take place on the same day of the week–every Monday for instance– and monthly deposits occur on the same day each month, like the 1st of every month. On the Acorns dashboard, you have the option of investing $5, $10, $15, or $20 per week, but you can choose a different amount as long as it’s at least $5. You might decide to invest $100 each month and it only takes a few seconds to type in your custom amount and Acorns takes care of the rest. 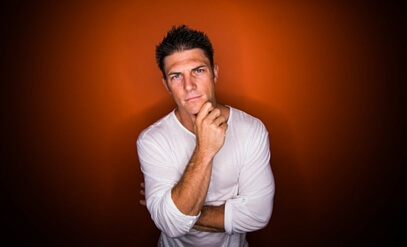 You might decide to make a one-time investment to fund your account during the signup process. Five dollars gets you started and the money will deposit within three business days. Or, you can send a one-time investment after you receive your tax refund or your boss gives you a bonus. Either way, you’re investing your money instead of mindlessly spending it, which is always a good thing. The third and final way Acorns invests your spare change is with the “Found Money” portal where select online merchants give a portion of your purchase amount back into your Acorns account when you activate a shopping session through Acorns. Each merchant offers a different cash back rate but you can expect to have between 2% and 10% of the purchase amount invested in your Acorns account. If you spend $100 and the merchant invests 5% of the purchase amount, you will see an extra $5 invested in your account on their behalf! Some merchants offer a fixed cash amount instead like $100 when you refinance your student loans with Sofi or $200 if you become an Airbnb host. Before you shop online, head to the Found Money section on Acorns first to get extra cash back. If you make a purchase directly from the retailer without activating an Acorns shopping session, you won’t receive the extra investment. You will still receive the round-up credit if you pay with your linked credit or debit card however. How Long Does It Take To Receive the Found Money Rewards? Although Acorns usually sends a confirmation email within 24 hours of your purchase with your Found Money amount, the actual investment won’t be made until 60 to 120 days later. This is the one downside to cash back apps because of the lag time to deliver the money from the merchant back into your hands. The 60-day waiting period protects the merchant in case you need to request a refund which alters your cash reward balance. How Does Acorns Invest Your Money? 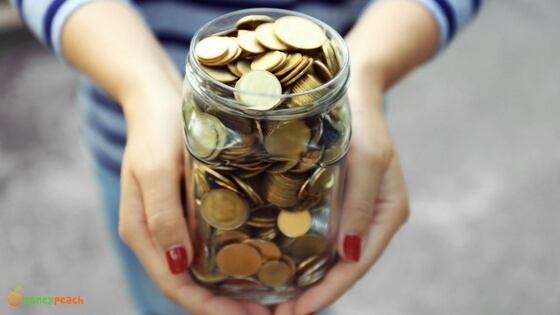 Investing your spare change is what sets Acorns apart from other micro-saving apps. Acorns adheres to the Nobel Prize-winning Modern Portfolio Theory by investing in stock and bond index ETFs that try to match the overall market performance (passive investing) instead of trying to “beat” the market (active investing) with low fund expense fees so you can earn the highest return possible without betting the farm. This is the same investing philosophy followed by other robo-advisors like Betterment. While positive gains aren’t a guarantee because investment performance hinges on the overall market performance, Acorns won’t recklessly invest your money. Acorns is a great way to invest in the market if you’re a beginner investor or don’t have the time to be a DIY investor. During the signup process, Acorns will ask you a few questions to gauge your investing goals and risk tolerance. Based on your responses, Acorns will a recommend a portfolio with an investing strategy that ranges from aggressive to conservative. You’ll see the different portfolio options below to give you an idea of how Acorns will invest your money. Remember that you’re not locked into your initial portfolio recommendation and you can change your portfolio allocation at anytime if you want to be more aggressive or conservative. Acorns only invests in iShares and Vanguard ETFs (exchange traded funds) that own small positions in a diversified basket of stocks and bonds that gives you exposure to the overall market with minimal risk. If you’re new to investing, Blackrock and Vanguard are two highly-trusted fund families. What Does Acorns Invest In? The minimum investment is $5 and Acorns buys fractional shares of each ETF listed above. If you were to buy each ETF directly from your brokerage, you would need the exact amount of cash that a single share is trading for. When an ETF like the Vanguard 500 Index Fund (VOO) trades for $250 per share, you need at least $250 to buy one share. If you only have $100 to invest, you’ll have to find another $150 before you can buy a share or invest in another fund that trades for $100 or less but might be too aggressive for your preference. Even if you could only afford to buy one share of VOO–or any single ETF share–your portfolio is extremely risky because it’s not diversified. If the share price climbs 20%, you’ll consider yourself a genius. But, when your single share price drops sharply, you can potentially lose all your gains in a single day. Because Acorns can buy a partial ETF shares, you get instant diversification with every investment that instantly gives you a partial position in over 7,000 different stocks and bonds. And, Acorns automatically rebalances your portfolio with every contribution to keep you on track with your investing goals. During the signup process, Acorns will recommend one of five investment portfolios based on factors including your age, income, investing goals, and whether or not you’re an aggressive or passive investor. As you will see, conservative portfolios hold more bonds than stocks. Aggressive portfolios hold incrementally more stocks, including emerging markets, and fewer bonds to earn a higher potential return. The most risk-averse portfolio is the Conservative portfolio with the following asset allocation. Young investors will most likely be placed in this portfolio because stocks historically outperform bonds long-term. While owning stocks is more volatile than bonds, you have a longer time horizon to recover any short-term portfolio losses. Can You Change Your Acorns Investment Allocation? If you want to be more cautious or aggressive than your current Acorns portfolio choice, you can change your portfolio allocation at any time for free! Let’s say you currently have the Aggressive portfolio but you’re planning on withdrawing your balance soon to pay for a large purchase. You don’t want to lose all your earnings in a sudden 10% market correction, similar to the February 2018 stock market correction, and then you don’t have enough money to cover your planned expense. To hedge against this risk, you can switch to the Conservative or Moderately Conservative portfolio allocation that holds at least 60% bonds which are historically more stable than stocks. Once you decide to invest more aggressively, you can select a more aggressive portfolio even if it’s two days from now. To change your investment portfolio, click on the “Profile” tab then “Portfolio.” The different portfolio choices from left to right with an incrementally more aggressive investing strategy. How Do You Withdraw Acorns Investments? Eventually, you’ll need to withdraw some of your Acorns investments when you accomplish your investing goals. Withdrawing your Acorns investments is as easy as contributing money. When you’re ready to make a withdrawal, you tell Acorns how much money you want to withdraw and which bank account to send the money to via direct deposit. You can send the money to a new checking or savings account by providing the routing and account numbers. Acorns doesn’t mail paper checks. How Long Does it Take To Receive an Acorns Withdrawal? It takes between three and six days to receive an Acorns withdrawal. This is due to federal regulations that require a two-day settlement period after you sell an investment. The same settlement rule applies to every investment brokerage and not exclusive to Acorns. If you sell your investments on a Monday, Tuesday and Wednesday are the two-day settlement period, and you can expect to receive your funds as soon as Thursday. Yes. Any dividend income you earn from Acorns is taxable and will need to be reported on your tax return just like you need to report your bank account interest and your other investment accounts. It’s a small price to pay for earning passive income, but you’re still richer than before. Acorns will send you a Form 1099 before March 15th for the prior tax year. While you receive most of your tax forms in late January or early February, your Acorns 1099 might be delayed because they are waiting to report the investment income from your real estate investments. Acorns Later is the newest account type from Acorns. It’s a Traditional IRA (Individual Retirement Account) funded with your pre-tax income. You might prefer an Acorns Later account to reduce your taxable income for the current tax year. Your investments will grow tax-deferred meaning you won’t pay any tax now, but instead on the withdrawal value in retirement. Do You Need to Be an Existing Acorns Member to Join Acorns Later? At this moment, yes, you need to be an existing Acorns members with a taxable, non-retirement to fund an Acorns Later IRA. 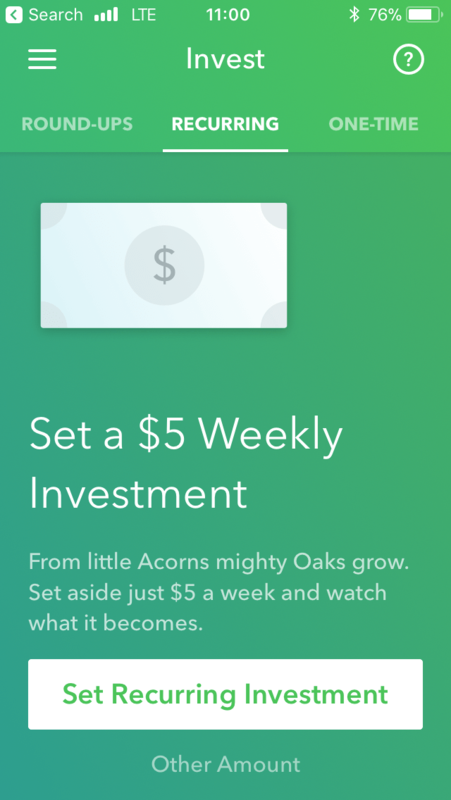 Once you open an Acorns Later account, you must make a minimum investment of $5 to get started; just like your regular Acorns account. Is Acorns or Acorns Later Better? It depends on how soon you want to access your investments. If you don’t plan on touching your Acorns investments until retirement, the Acorns Later account is better because you won’t have to pay taxes on your dividend income until you retire. Plus, all contributions reduce your taxable income for this tax year. If you’re not sure how soon you want to withdraw your Acorns investments, you should open a standard Acorns account. Having the extra flexibility is better than paying the early withdrawal penalties that can erase all of your cumulative dividend income. Because Acorns is a micro-investing app, it probably isn’t going to be your primary investment account. Most of your investments need to be with your employer 401k plan or with a regular brokerage like Betterment or Vanguard. So don’t worry too much about the tax implications from your Acorns account because you’re only investing your loose change. Here are a few other things you might not know about the Acorns app that help make saving and investing fun! Once you’re logged into your Acorns account, you can view your investing progress so far and your potential future progress based on your age and investing rate. Every time you log into Acorns, the first thing you’ll see is your current account balance. Directly above your current balance, you’ll see three buttons: Past, Present, Potential. These three buttons are the secret sauce to navigating the Acorns dashboard like a boss. The “Past” button shows your lifetime Acorns app performance. Some of the statistics you’ll see includes your total amount invested, total gain or loss, referral bonuses, Found Money shopping rewards, and total withdrawal amounts. You can also track your itemized earning history for your round-ups, recurring investments, and referral bonuses. You will visit the Present screen the most because it’s the primary screen for your Acorns dashboard. Besides your account balance, you can adjust your round-ups multiplier, schedule recurring investments, and quickly spot the best Found Money rewards offers. This screen also shows your recent earning history so you can easily see if the purchase you made yesterday has been credited to your Acorns round-ups balance yet. 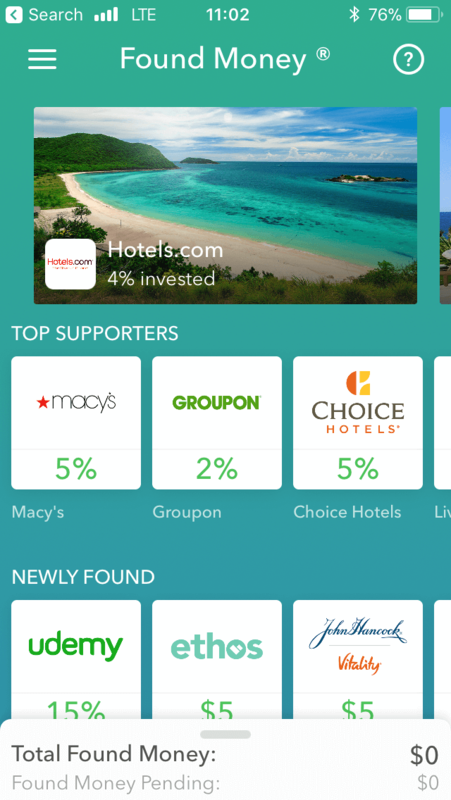 Any investing app worth their salt includes a projected investment calculator. When you first click the “Potential” button, you will see your projected account balance based on your age. While an extra $5 a week doesn’t seem like much now, it can grow to an extra $10,000 in 20 years. Over the next two decades, you contribute $4,800 during that time frame and earn $5,000 in dividends; that’s better than any savings account. 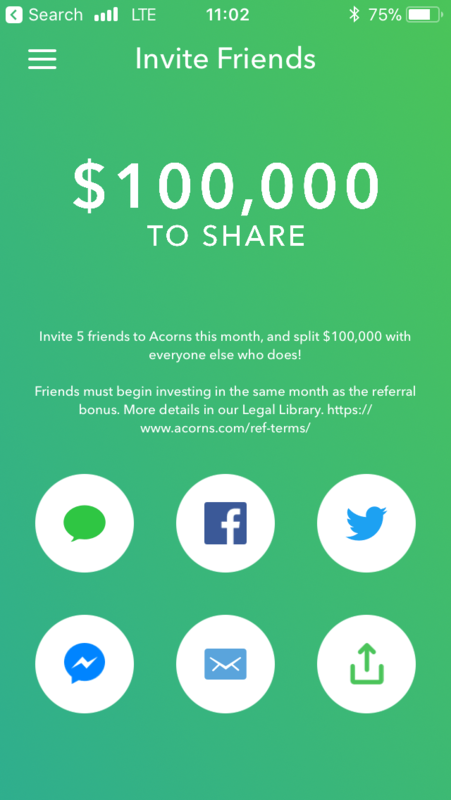 Acorns pays you $5 for every friend and family member you refer to Acorns. They will get a $5 bonus too and they begin saving money on a regular basis just like you! And, it might be the easiest money you’ve ever earned. If you use the free online budgeting app Mint, you can link your Acorns account to track your investing progress with your monthly budget. When you log into your Mint account, you can add your Acorns account by clicking “Settings” button followed by the “Accounts” and “Plus” buttons to enter your Acorns login information. It only takes a few seconds and you’re all set! Maybe you don’t think Acorns is a good fit for you. No worries. These three micro-investing apps might be a better fit for your saving and investing habits. All three of these alternatives let you fund your account with one-time or recurring contributions from your checking account. What separates Acorns apart from these other apps is the round-ups and Found Money investment options because the other recommendations only support bank account transfers. Only one of these alternatives features round-up investing and none of them offer online shopping cash back rewards. Stash also features round-ups and recurring investments on a weekly or monthly basis and has the same fee structure as Acorns–$1 per month until your account balance reaches $5,000 then 0.25% annually–and is the most similar alternative to Acorns. The biggest difference between Stash and Acorns is how your money is invested as Stash gives you more flexibility that DIY investors might like. Acorns takes a more direct approach by investing in an ETF portfolio based on your risk tolerance. You have 40 different investing options with Stash so you can invest in a conservative, moderate, or an aggressive ETF similar to Acorns, but you can also invest in themed ETFs too. For example, you can invest in missions and causes like clean technology or gender diversity. Or, you can invest in a specific sector like technology, cybersecurity, China, or U.S. Treasury bonds. Whether you want to invest in one ETF or all 40, you can make your own portfolio with Stash. Bear in mind that your Stash investments can be more volatile if you invest your entire balance in one ETF, especially if it’s a particular sector like technology or Europe. 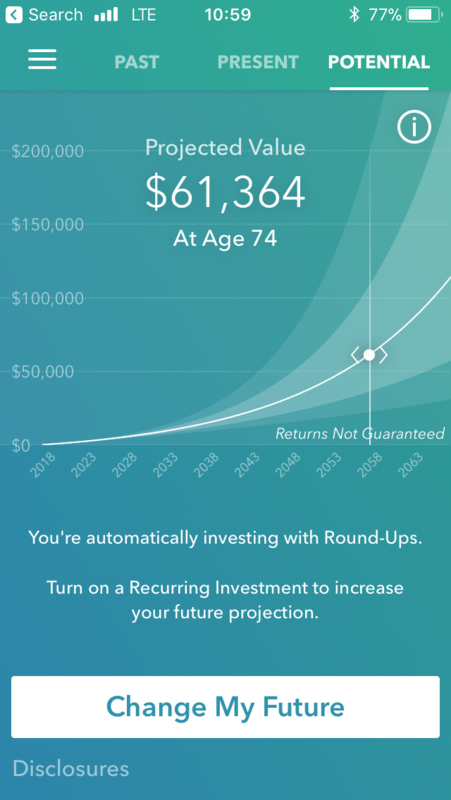 Betterment doesn’t offer round-up investing, but you only need $1 to make your first investment. You can fund future investments with recurring or one-time withdrawals from your bank account. The management fee is 0.25% on your entire balance which is more affordable than Acorns for balances less than $5,000. Betterment also adheres to the Modern Portfolio Theory and your money will be invested in a basket of iShares and Vanguard stock and bond ETFs based on your risk tolerance. This can be your best Acorns alternative if you can live without round-up investing and still prefer to have the investing app handle the day-to-day portfolio management decisions. And, Betterment can also double as your primary brokerage account too which means you can keep all of your investments with Betterment until retirement if you prefer automated, index investing. 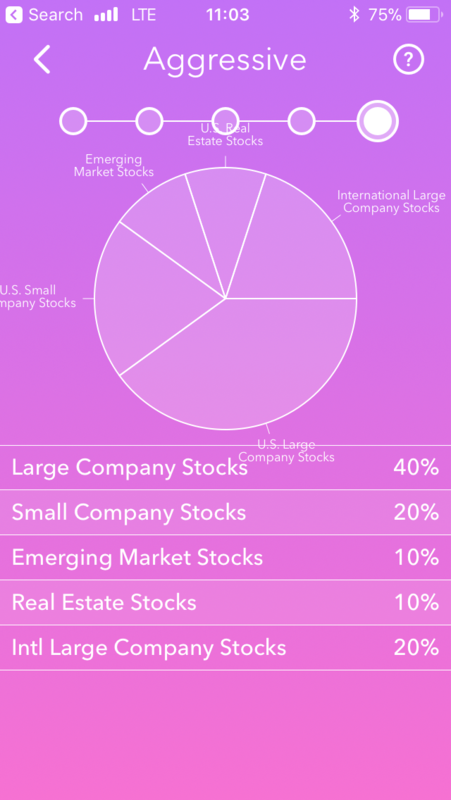 Another growing micro-investing app is M1 Finance, a completely free micro-investing app that lets you buy fractional shares of your favorite stocks and ETFs or you can pick an “expert pie” ranging from ultra-conservative holding 98% bonds to the ultra-aggressive pie that holds 99% stocks. 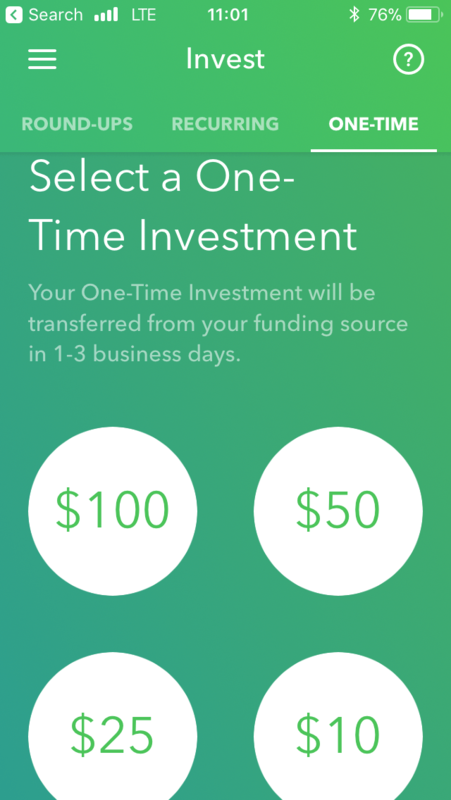 M1 Finance requires an initial $100 investment and you can only make one-time or recurring monthly investments. After your account is funded, the minimum investment is $1. Acorns is a fun way to maximize your saving potential every time you use your credit or debit card by forcing you to set aside some of your money. You won’t be able to retire from your Acorns investments, but it’s an excellent way to squirrel away cash you would spend on lattes and movie tickets if it remained in your checking account.